O Lord, you have taught us that without love whatever we do is worth nothing. In this Sunday’s gospel Jesus tells us to love our enemies. “Do good to those who hate you, bless those who curse you, pray for those who abuse you, if someone strikes you on the cheek, offer the other also. This teaching can feel like a bit of a slap itself. Love people who offend you? Hurt you? Abuse you? “If you just love those who love you, what credit is that to you?” Jesus asks. “Do not judge, and you will not be judged; do not condemn, and you will not be condemned. Forgive, and you will be forgiven; give, and it will be given to you.” Clearly the kind of love Jesus is talking about goes beyond the kind of love we’re talking about when we say we love chocolate or puppies. This kind of love is not about having a good feeling or getting a valentine card. This kind of love sounds like a lot of work - and frankly, not always pleasant work. Jesus describes love as a deep spiritual practice in this passage. It is about forgiveness, acceptance, encouragement and action. It is about recognizing with humility that we all fall short of the glory of God and therefore we have no ground on which to stand and judge. If God loves and forgives us, we need to love and forgive all God’s children. Forgive us our sins, as we forgive those who sin against us. When you’re faced with someone whose views disturb you or whose actions hurt you, how do you love them? How do you keep from condemning or judging them? How do you forgive? Does it mean you have to accept unacceptable behavior or be a doormat? Or is there another way to love and forgive? In a culture in which we use the word love for things as inconsequential as tv shows or nail polish colors, it’s unusual to speak of love in such a deadly serious way. We may think of love as the bubbly feeling you get from a good romance movie, but it is serious business for God, and at the center of God’s healing, reconciling mission in this world. And this is the kind of love people of faith are called to practice with each other - and with everyone we meet - even with those people we don’t like very much. 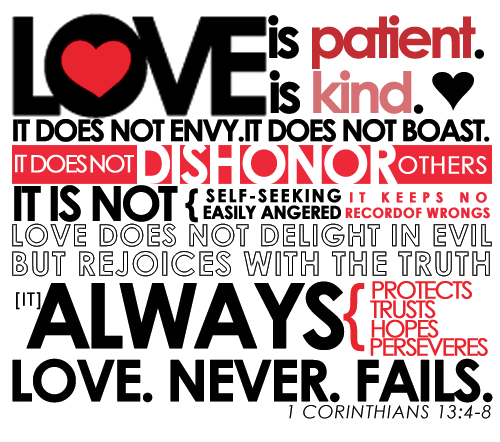 When people say God is love - this is the kind of love we’re talking about. The love that is mysterious and challenging and transformative. The love that truly is life. The love that breaks through hate. The love that heals all wounds. The love that transcends death.